For children that are potty training, the Kylie® Boys are a perfect way to start. They look just like ordinary boy's pants but feature a waterproof lining and absorbent gusset. 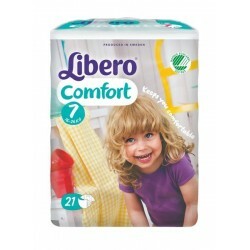 Libero® Comfort Size 7 NappiesTo fit children 16-26kg (3 to 8 years old)Liber..